Why it matters: It's tough to admit a product was a failure or didn't go over as planned. In the case of Nearby Notifications, that's exactly what happened and you've got to praise Google for realizing this. Marketers won't like it but eliminating an unnecessary source of spam is the right move. It’s been more than two years since Google created Nearby Notifications, a way for Android users to discover relevant and engaging content while out and about. Using Bluetooth and GPS, the idea was to proactively provide useful information to nearby handsets, such as notices about free Wi-Fi hotspots or bus schedules. Predictably, what turned into a potentially useful service was more or less ruined by marketers who created locally irrelevant and spammy notifications. As Google product manager Ritesh Nayak M explains, filtering and tuning can help but in the end, it still led to a poor user experience that didn’t meet Google’s standard for content delivered through notifications. As such, Google will discontinue support for Nearby Notifications on December 6. 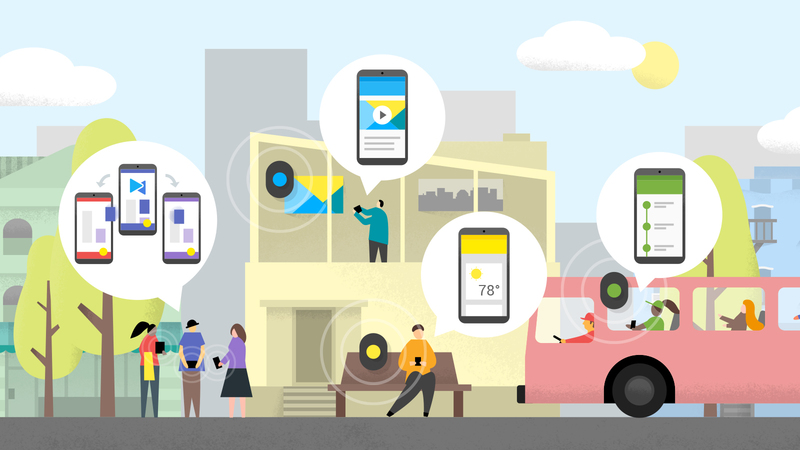 At that time, Android developers will no longer be able to send Eddystone and Physical Web beacon notifications and users will stop receiving them. Devs will still have access to the beacon dashboard, however, and still be able to send proximity-based content through their own apps using the Proximity Beacons API. This type of location-based marketing felt slimy from the beginning and I applaud Google for stepping up, admitting it was a failure and shutting it down. Even if it was opt-in, it was destined to be overridden by spam. Hopefully, others will follow Google’s suit and help fight unwanted spam.